Argon, an element found in relative abundance in the Earth’s atmosphere, is not a greenhouse gas because, like oxygen, nitrogen and other gases, it is largely transparent to the wavelengths of light responsible for trapping heat. Argon does not form molecules large and complex enough to block infrared light, as known greenhouse gases such as carbon dioxide and methane do. A member of the noble gases, a group of elements that also includes helium, xenon and neon, argon does not normally combine with other atoms to make molecules -- not even with itself. Because of this property, argon gas consists of single atoms, unlike nitrogen and oxygen, which form pairs of atoms as well as more complex molecules. Argon makes up about 0.9 percent of the Earth’s atmosphere -- a significant amount, just behind nitrogen at 78 percent and oxygen at 21 percent. The greenhouse effect is the result of a buildup of heat trapped in the atmosphere near the Earth’s surface. 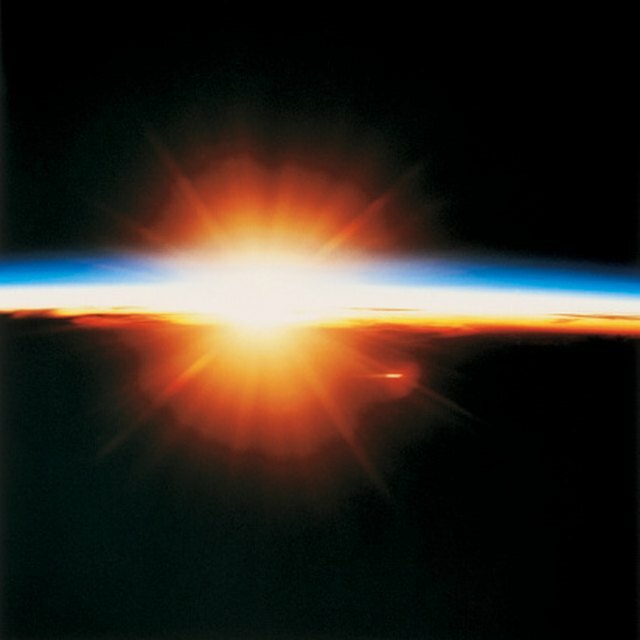 Gases such as carbon dioxide allow visible sunlight to pass through, but block the infrared light produced when the light warms the land and oceans. Greenhouses have large areas of glass that let in sunlight; like CO2, the glass blocks infrared light, warming the room. The planet Venus is an extreme example of the greenhouse effect; its atmosphere is 96.5 percent carbon dioxide and its surface temperature averages 457 degrees Celsius (855 degrees Fahrenheit). Greenhouse gases have molecules that vibrate in sympathy with infrared but not visible light; they absorb and radiate infrared energy but allow normal light to pass through. 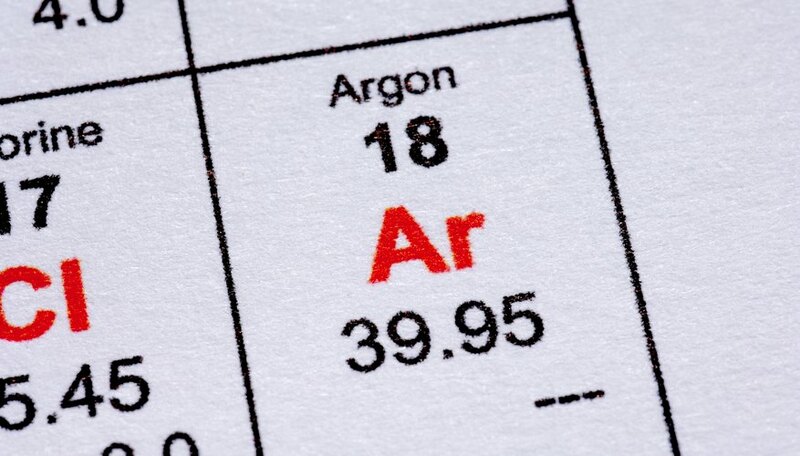 Although argon absorbs certain wavelengths of light, it is virtually transparent to infrared. Because infrared light passes through argon, any warm object surrounded by the gas cools by radiating heat into the surrounding space. Carbon dioxide is probably the most-discussed greenhouse gas, as coal-burning power plants and other human activities pump many billions of tons into the atmosphere each year. Methane is another, with 25 times the heat-trapping potential of carbon dioxide; however, methane lasts only 12 years in the atmosphere before breaking down. Nitrous oxides have a greenhouse effect nearly 300 times that of CO2 and persist for over 100 years. Also of concern are chlorinated fluorocarbons, although these are found in much smaller quantities than CO2 or methane. Does Mars Have a Greenhouse Effect? Papiewski, John. "Does Argon Act as a Greenhouse Gas?" Sciencing, https://sciencing.com/argon-act-greenhouse-gas-23837.html. 24 April 2017.